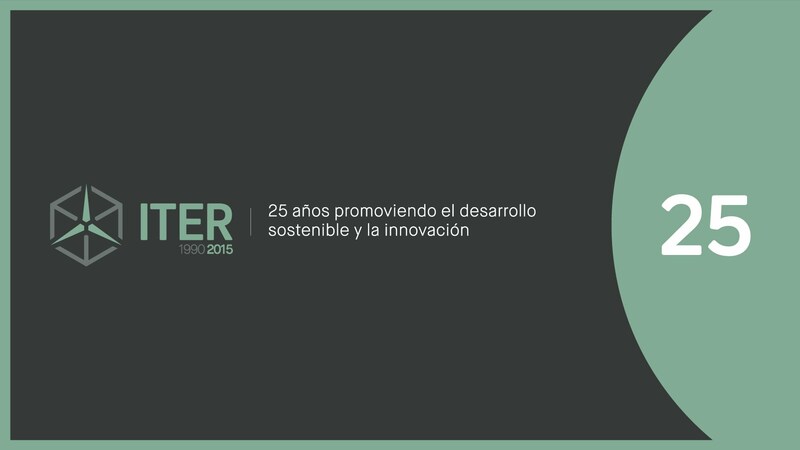 After more than 25 years promoting sustainable development and innovation, the Technological and Renewable Energy Institute of Tenerife (ITER), a body dependent on the Cabildo de Tenerife, has become, today, an international reference research center in renewable energies, engineering, telecommunications and the environment. Currently, 200 workers, 12 work centers and 12 companies make up the ITER Group, part of the Licita Tenerife Club. Since its creation in 1990, ITER has had an international presence in more than 30 countries and has actively participated in various European programs, having developed more than 200 R & D + i projects with partners from most European regions. At the same time, he has acted as technological and scientific advisor to numerous organizations, such as the European Commission, the Cabildo de Tenerife, the Spanish Agency for Cooperation (AECID) and numerous governments and international institutions. In recent years, aware of the importance of the Canary Islands as a tri-continental platform between Europe, America and Africa, ITER has carried out numerous international projects aimed at technology transfer and development cooperation, exporting know-how to other countries and archipelagos. One of these interesting projects in which ITER participated was the EURO-SOLAR Program, where it provided Technical Assistance to the European Commission in renewable energy and the environment from 2006 to 2012. This program, which is a regional initiative of the The European Commission’s Cooperation Office (EuropeAid) had as its main objective the promotion of renewable energies as an engine of human development in the eight most disadvantaged countries of Latin America: Bolivia, Ecuador, El Salvador, Guatemala, Honduras, Nicaragua, Paraguay and Peru to contribute to the improvement of the living conditions of rural communities, supporting them in their fight against poverty, isolation and marginalization caused by their socioeconomic conditions. The program focused on the installation of 600 rural electrification systems using renewable energies in isolated communities, offering a wide range of possibilities in telephony, education, health and, in general, in access to information, in order to promote a sustainable development in these rural communities. The final beneficiaries of the Program and owners of the kits were more than 300,000 people from 600 rural communities, who did not have connection to the electricity supply network at that time. The important task of ITER for more than six years was to give technological support to the European Commission for the development of. EURO-Solar program in terms of design, quality control of supplies, operation of the systems and evaluation of the program and training. Euro-Solar was addressed as a comprehensive program, since it was not limited to the installation and commissioning of the equipment, but also included the training of members of the communities for the management and maintenance of the kits and the support in the development of basic services in the areas of education and information technologies, health promotion and social and productive activities….